Do you already have an existing Adwords account? We will guide you through the process to send us an invitation to access your Adwords account. We’ll then accept your invitation via email to have an administrative access and manage your ad campaigns for you. We will guide you how to create Adwords account and how to grant us the administrative access to manage your ad campaigns. During the setup, you need to have the info of your payment method ready and the Gmail account. Please click here for the instruction slides. Please click here for the instruction slides. If YES, please proceed to "Step1" down below. If NO, please get on the instruction slides here. NOTICE: The Google AdWords platform was recently redesigned. The layout you see may be the new Beta design or maybe the old design. We’ve included instructions for both versions in this guide. Select (2) “Account access” under the “SETUP” column. Click (1) add icon and the pop-up of Invite to access the account will be displayed. Click on (2) the arrow to reveal the drop-down list. Select (1) “Admin” as the Access. Enter “prontomarketingmcc@gmail.com” in (2) the Email address required field. 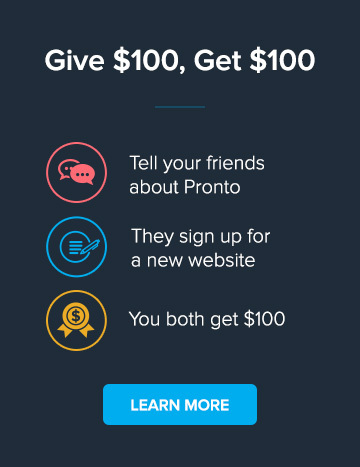 Click on “SEND INVITATION,” and the Pronto team will accept your invitation to start managing your campaign. Write down the 10-digit Customer ID number on the upper left corner of the screen. We may ask you for this number if we aren’t able to gain access to your account. Click on “Account access” to get into the Account access page. Enter “prontomarketingmcc@gmail.com” in (1) the Email address required field. Select “Administrative access” for (2) the Access level.